Harry Potter received Hedwig as an eleventh birthday present from Rubeus Hagrid. She not only serves as a companion to Harry, but also delivers messages and fights to protect him. If that doesn't get you psyched about the feathered sidekick, JK Rowling, author of the Harry Potter series, has said that Hedwig's life represents Harry's innocence! Now you have practical and literary significance, so if you don't yet appreciate Hedwig, we have to assume you have a thing against owls. And that's not cool, man. If you are convinced of the bird's well-deserved prestige, be sure your own Harry Potter doesn't go without this faithful companion this costume party season. 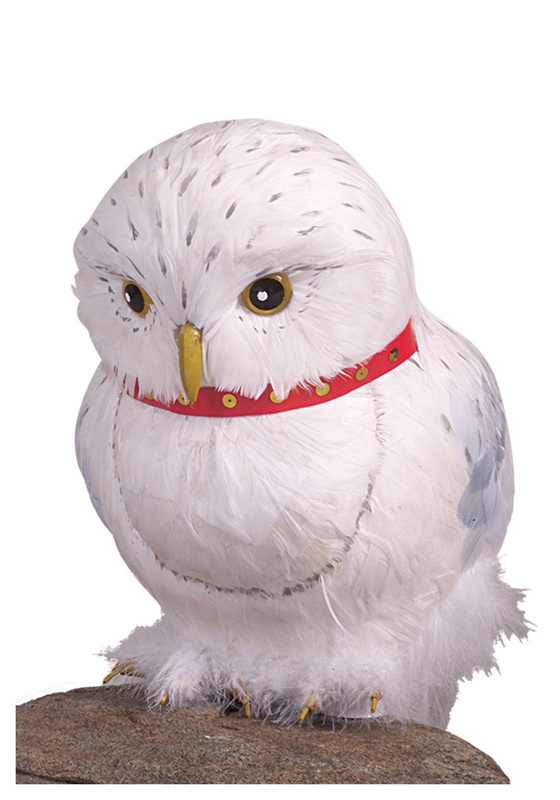 This specific Hedwig accessory is officially licensed and super detailed, making it both a great gift for any Harry Potter fan and a surefire attention grabber!